If you want a break away from the hustle and bustle of city life, don't head for the beach immediately. There are many other choices besides sun, sand and sea vacations. To see how locals truly live, you need to know and appreciate their culture and heritage. 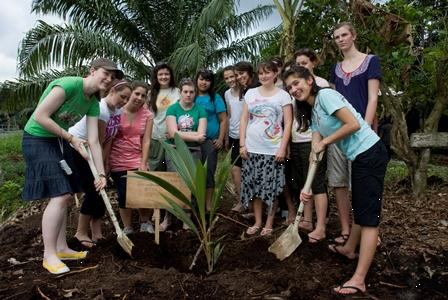 By participating in the Malaysia Homestay Programme, visitors will take part in activities such like plucking tropical fruits in an orchard and learn to play a traditional musical instrument or the steps to a cultural dance.Other interesting pursuits include harvesting local crops, visiting a fish farm, and indulging in traditional pastimes such as kite-flying and top spinning. The locals might stage a mock-wedding that showcases the local customs and rituals especially for visitors. The Malaysia Homestay Programme which won the World Tourism Organization (UNWTO) 2012 Ulysses Award for Innovation in Public Policy and Governance enables tourists to experience kampung village lifestyle, culture, agriculture and cuisine. This programme is a good opportunity for children to find out a side of life that they do not get to experience - waking up to the call of birds early in the morning and playing traditional games like top-spinning - things that are different from the city life that they are used to. Tourists will live with a local family throughout their stay in the programme. There are homestays available in every state of the country. The Banghuris, Sungai Sireh and Sungai Haji Dorani homestays for instance, are situated only an hour’s drive from Kuala Lumpur, Malaysia’s capital city. Visitors to Kampung Pelegong in Negeri Sembilan can savour tropical fruits freshly plucked from the orchard, while a stay at Kampung Seri Tanjung, Melaka, enables visitors to make a trip to the many Dutch and Portuguese historical landmarks there. Article from Tourism Malaysia. 2012. For more information about this article, click HERE. All credits to Tourism Malaysia.